I am curious to know if the two insulators on the left are Brooke's Blue or Dark Sapphire Blue or neither of those colors. 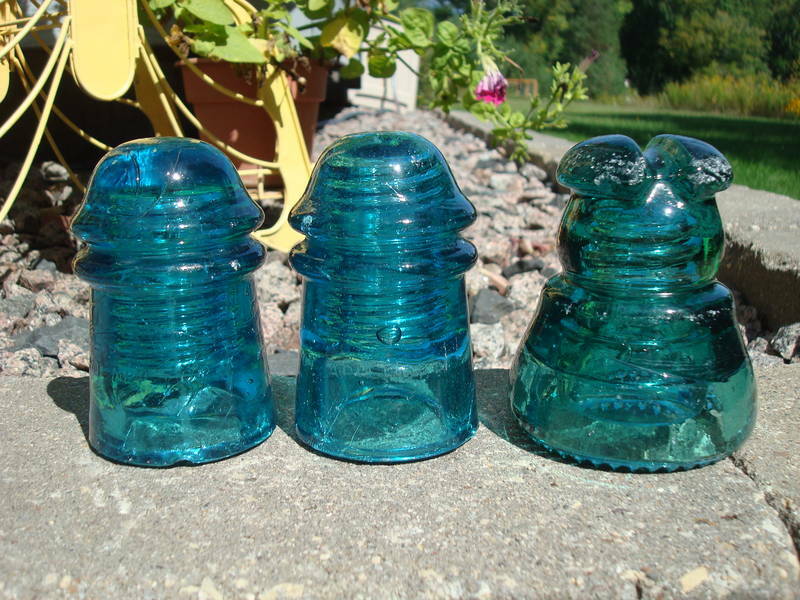 ANSWER: Both insulators on the left are Brooke's Blue. Thanks to everybody who responded.